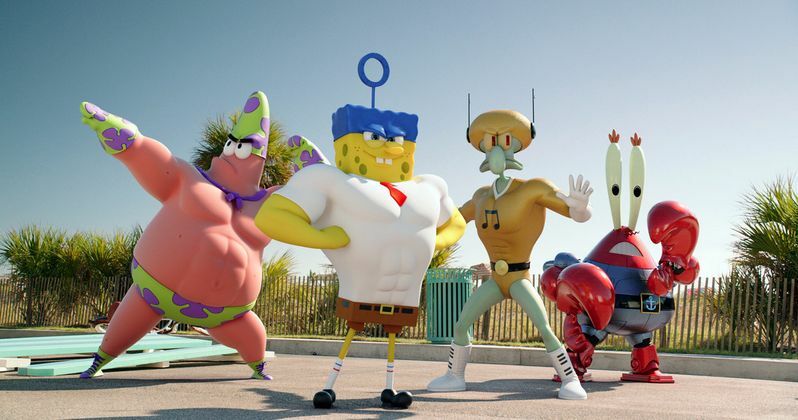 The Paramount Pictures panel just let out moments ago, and as part of their presentation, they released a first look photo from The Spongebob Movie: Sponge Out of Water 3D, which shows CG animated versions of the traditionally 2D animated characters as they enter the real world. Check it out as SpongeBob, Patrick, Squidward and Mr. Krabs gear up to fight crime as the wackiest group of superheroes to ever walk on dry land. The Spongebob Movie: Sponge Out of Water 3D finds SpongeBob SquarePants, the world's favorite sea dwelling invertebrate, coming ashore to our world for his most super-heroic adventure yet.